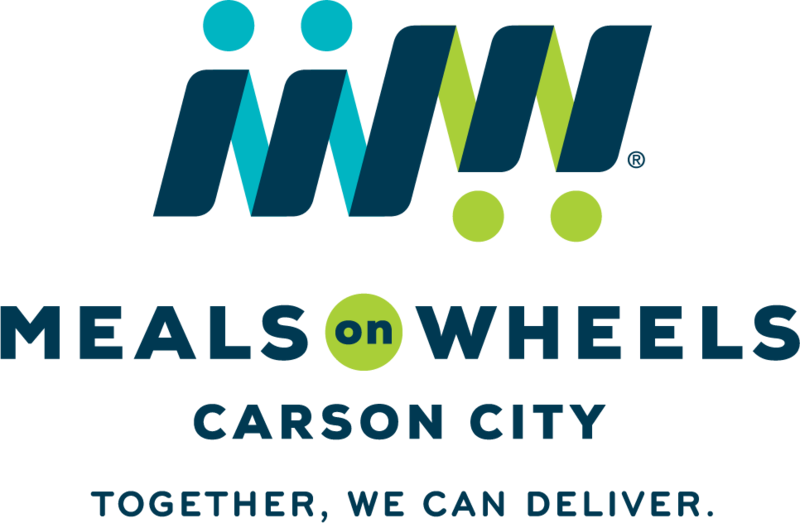 Local community members and organizations donated generously to Carson City Senior Center's Meals on Wheels recipients this holiday season with gifts of personal necessities and nice-to-have items for the area's senior population. "We are so thankful that individuals and organizations in our community generously donated to our Senior Christmas Project this year," said Courtney Warner, executive director of the Carson City Senior Center. "Their gifts put a smile on the face of some of our area's seniors this holiday season and provide needed items to that population." Meals on Wheels recipients who agree to participate in the program fill out a form with their top two gift choices for community members to provide. Under the direction of Warren Bottino, elder resource advocate, the Senior Center collects the gifts and distributes them in December. Bottino said 39 donors provided 400 gifts and 250 gift cards. Two of this year's most extravagant gifts went to Robert Price and Chris Laird. 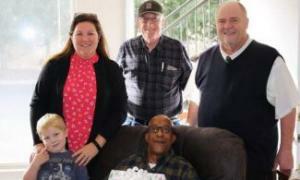 Price said he was thrilled to see CCSC staff members arrive at his apartment with a large easy chair donated by the Nevada Division of Emergency Management & Homeland Security, to replace the folding chair he had been using to watch TV. He also received a new set of bath towels. Laird, a lifelong musician, wondered aloud if "a grown man could cry" when he received a brand-new mandolin from a donor at Carson Tahoe Hospital and immediately volunteered to play the instrument for those who delivered it to him. Bottino said holiday gifts is just one way the community can contribute to Carson City's homebound seniors. Many recipients, for whom the hot, nutritious meal delivered by Senior Center employees may be the only meal they eat that day, rely on Meals on Wheels to also provide a wellness check when relatives don't reside nearby. For more information on ways to donate year-round to Meals on Wheels, contact the CCSC at 775-883-0703. Carson Tahoe Hospital; Soroptomist Club; Bethlehem Lutheran Church; Harley-Davidson Financial Services; Kiwanis Club of Sierra Nevada; Rocking and Rolling – Jeanette Champagne; Carson Periodontists; Toiyabe Golf Club; Kendall Buscay; Carson City Raiders Booster Club; Cheryl Holt – Nevada Department of Transportation; Cheryl Remick – Carson Tahoe Hospital; City Manager's Office – Rachael Porcari. ESP West LLC; Elaine Coburn – Nevada Legislature; Loretta Marcin – Karson Kruzers; Carson City Host Lions; Sally Zola & Loretta Roche; Christine Cassinelli – Laird; NV Emergency Management and Homeland Security; Eden Home Health; Bill and Betty Redmond; Art and Ana Winston; Ron & Betsy Milligan.Kirsten Sherve; Sharon Love; Diane Phillips; Marcy Peterson; Kathy Ensminger – Carson Tahoe Hospital; Debra Pratt – Carson Tahoe Hospital; Carrie Krupp; Linda Allen; Victoria Williams – Coldwell Banker Select Real Estate; Carson City Youth Bowlers; Debbie Hochsprung; Bobbie Yassmer – RE/MAX; La Tea Da Knitters; Pioneer High School; Fred Prawlawski. The mission of the Carson City Senior Center is to enhance the quality of life and independence of seniors. Through congregate dining and Meals on Wheels, the Carson City Senior Center serves hundreds of local seniors. The Center also provides health and fitness education and activities, craft and hobby groups, card and board games and many other services including help with prescriptions, durable medical equipment, tax preparation and many others.